After 6 months of research and design CAD Light has pulled the trigger on their newest bio reactor. and ease of use the moment you get it. 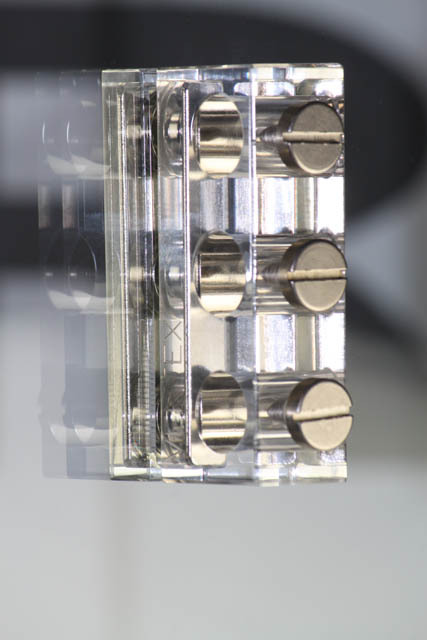 the intake is in the bottom and the outtake is from the top allows for the most efficient flow of only 1 direction. Space saving design and energy efficient. no need for an external pump that will take up more space and wasted pump pressure. 100% Cell-Cast acrylic and Hand MADE IN USA. Completely disassembles easily for maintenance. 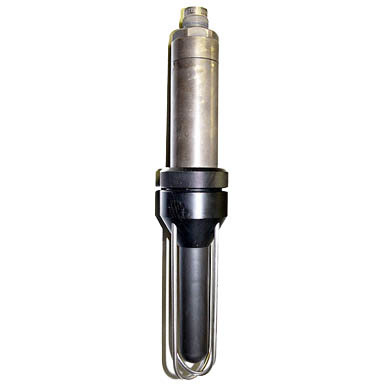 Compatible with a large variety of Bio-pellets. Photo by: Dr. Hannes Grobe. A microphone design to record underwater called a hydrophone. I dug up an article dating back to September 24, 2008 reporting the discovery of several specialized muscles found in cusk-eels which are believed to be used to make sounds. It is (or was) believed these sounds were used for mating calls. Read more on the cusk-eels here. You can hear the recently released recordings here. It is important that to note that all of these sounds are labeled as “unkown deep sea sound”. You may read the rest of the story here. A user sent us a link to a recently uploaded video of a bubble coral shrimp (Vir philippinensis). A unique shrimp that primarily is only found in the bubble coral. The shrimp can be identified by its clear body and solitary thin purple stripe running the length of its body and claws, including purple antennae. 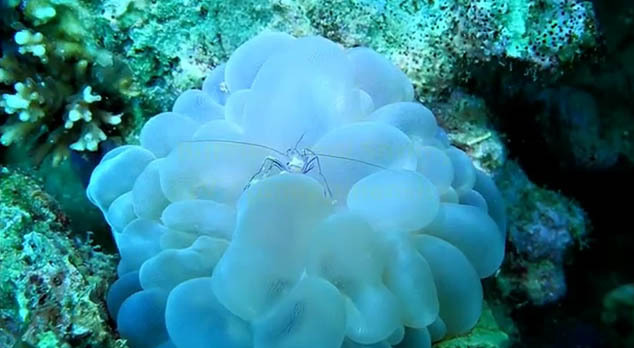 In doing research I came across an additional video of the bubble coral shrimp. It is difficult to determine if this video was taken in a captive reef tank or in it’s natural environment, what ever the case, this poor coral is infested by flatworms. 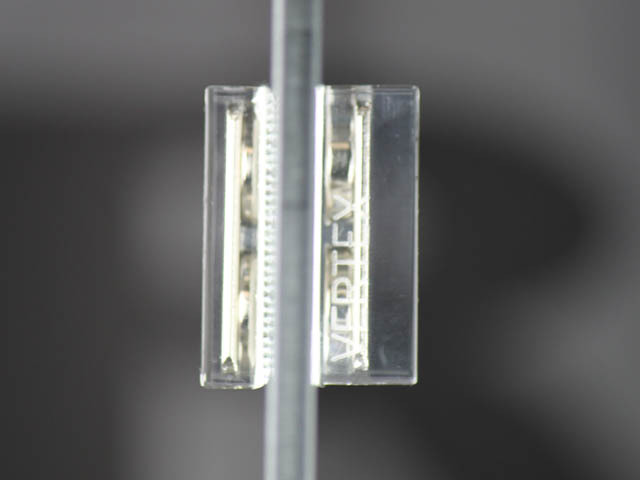 Vertex has just come out with three new products, a magnetic probe holder, and two magnetic cleaners. 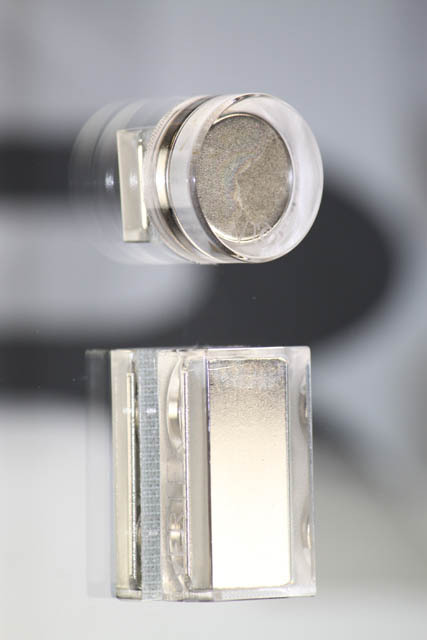 The Sensor-Mag Titanium is a 3 probe holder, utilizing a total of 6 magnets to keep the probes (or sensors) in place. The probes are held in place with through 13mm holes, using Titanium screw fasteners. This little gizmo makes it very easy to place probes wherever it is most convenience, move them around if needed, and of course remove them for cleaning. 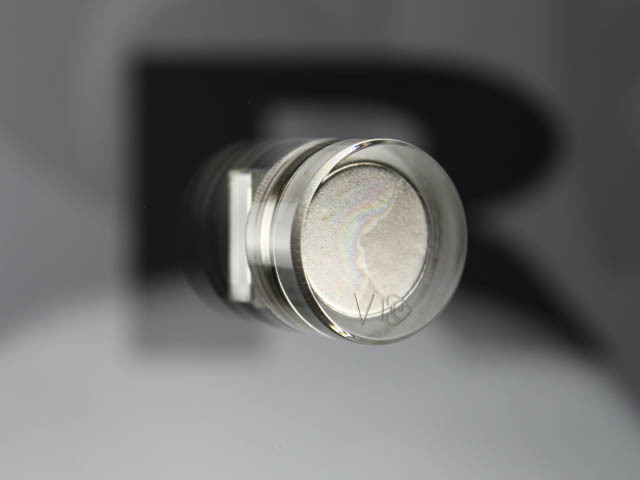 The Vertex Simplex is a small, sleek circular magnetic glass cleaner. 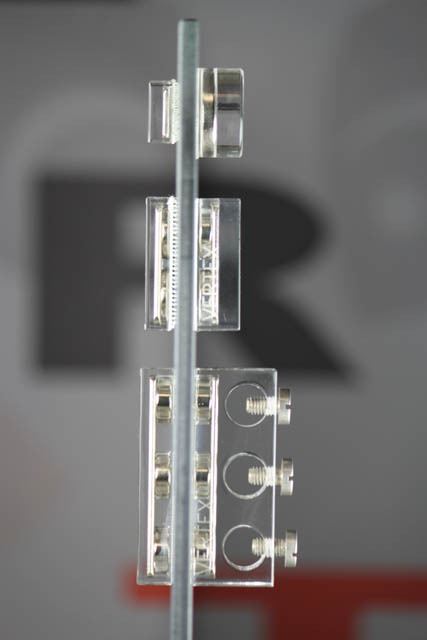 The outside of this Acrylic glass cleaner is a low-profile acrylic cylinder, while the inside piece is square, to allow the hobbyists to get algae out of those pesky corners and edges. This magnetic algae cleaner uses a white satin fabric to prevent scratching of the aquarium, while a coarse white fabric is used to clean the inside of the glass. 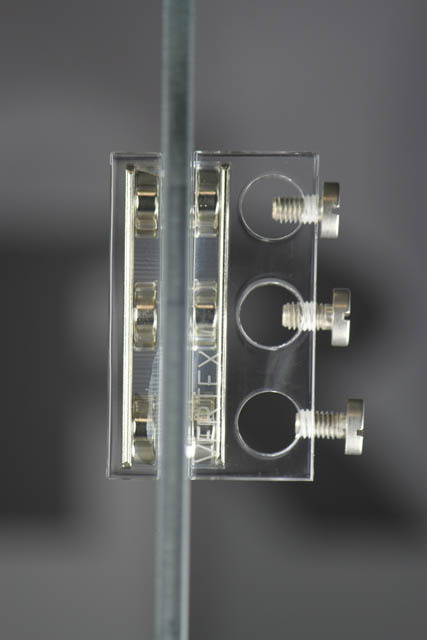 The Vertex Simplex can be used on aquariums with glass thickness up to 6mm. The big brother of the Simplex is the Vertex Duplex. This algae cleaner uses rectangular pieces for both the inside and outside parts. Again, a smooth white satin fabric is used on the outside, and a coarse white fabric on the inside. 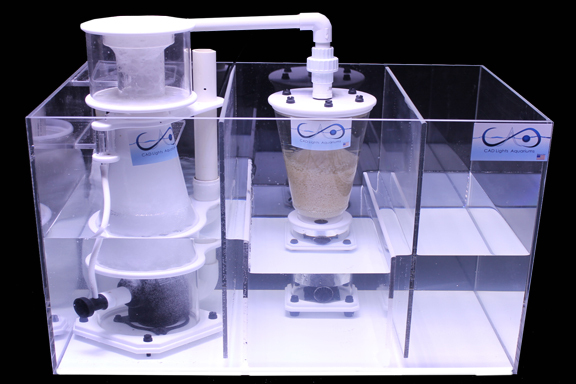 The Vertex Duplex can be used to clean algae on aquariums measuring up to 8mm in glass thickness. Any aquarist with live rock in their tank has had at least one aiptasia. Normally if you have one you will soon seen many. There are lots of products on the market as well as several home remedies to help combat aiptasia. Some require injecting a syringe into the aiptasia and pumping it full of some type of concoction whether it is lemon juice, pickling lime or a store bought product. This process is difficult since the little nuisance can easily draw back and become virtually impossible to see or stab not to mention barbaric. 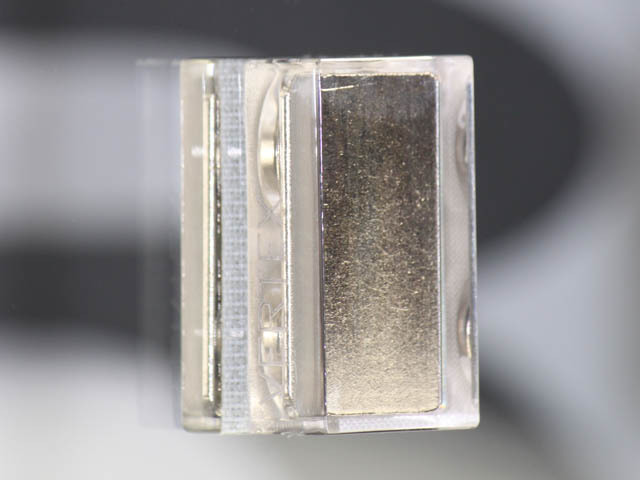 Electrodes have recently hit the market that will, with luck, shock the little critter to death. 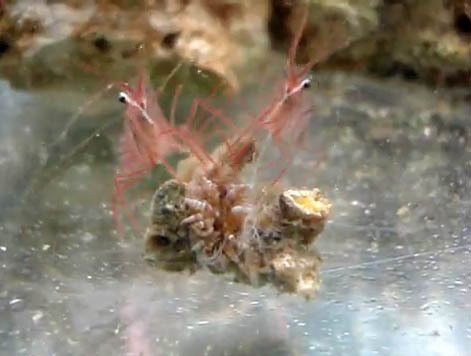 One of the oldest remedies is to introduce peppermint shrimp to your tank to eat the aiptasia. I’ve seen many forum threads debating the fact that this is an effective method. My personal experience is that it works and works well. I will admit that it doesn’t happen immediately. If you have a large system with lots of available food for a peppermint shrimp it may take him a while to find his way to aiptasia. But, in time, it will find and eat them. The upside is you have just strengthened your reef safe clean up crew at the same time. Here is a video with undeniable evidence that peppermint shrimp will and do eat aiptasia.I have never witness peppermint shrimp this hungry and aggressive. The Australian Institute of Marine Science recently conducted experiments on water temperatures on zooxanthellae. Historically it was believed that corals with a variety of zooxanthellae types could only with stand temperature changes. The results of these experiments leave researchers to believe that corals with a single type of zooxanthellae can handle thermal changes occurring in the ocean. Good news. Further reading can be found here. Fox news recently ran a story discussing the importance of pharmaceuticals drugs that are developed or under development from sources found in the sea. I was amazed at the amount of life saving drugs that have been discovered from ocean inhabitants such as Caribbean sponges, Indian Sea Hares, green algae and sea squirts just to name a few. The drugs are used for a wide variety of human conditions like anti-tumor agents, lymphoctic leukemia, Alzheimer’s, AIDS, lung cancer and many more. Any reefer that has been around a while has learned to never discard dead coral skeletons until you really know it’s dead. I typically stash them in a corner or in a cave out of sight to see if there is a chance for new life to grow. 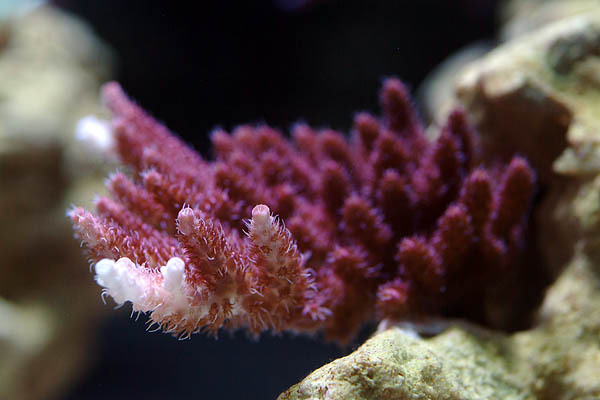 I was curious about how new corals come back to life and in my searching I found there is a name for this, the Phoenix Effect. In my research I found that cryogenic methods of storing coral tissues are being developed. Scientist are now able to store living coral tissue in a deep frozen suspended animation for long periods of time. 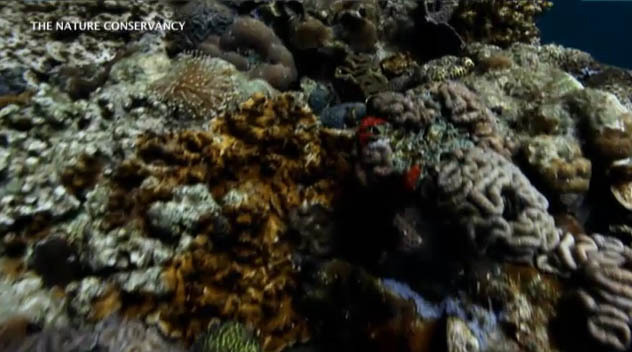 This can be beneficial for preserving corals that may be facing extinction. 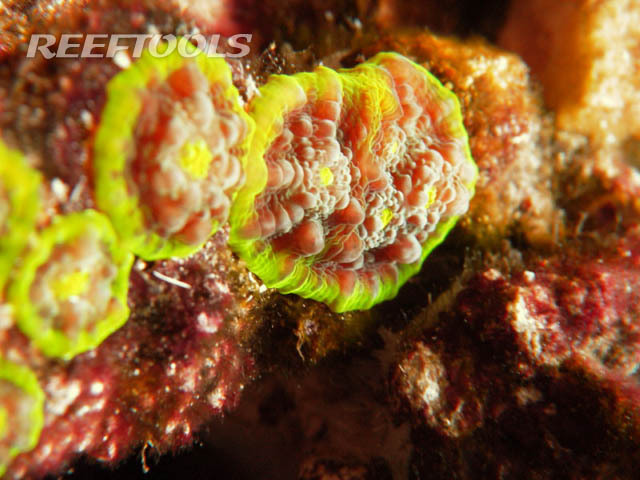 I’ve witnessed the Phoenix Effect in action on corals such as acans, fungia plates, euphyllias and even chalices. Here is a summery of last week’s most popular Reef News. An intriguing new publication has just been released, Ecotales from Kubulau: A Guide to he Cultural and Natural Heritage of the Vatu-i-Ra Seascape. This guide was published by WCS Fiji and the Coral Reef Alliance. It is intended to raise awareness and show the importance of the plants and animals to local livelihoods, ecosystem functions and cultures, show casing the Vatu-i-Ra Seascape. It is a collection of stories from the elders of Kubulau who share their knowledge and described their associations with species for medicine, building materials, food, decorative arts and totem spirits. 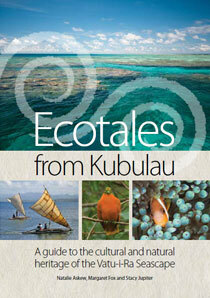 Proceeds from the sale of the guide will directly support ecosystem management and community development in Kubulau. The guide is available at bookshops around Fiji and will be available online from the University of the South Pacific’s Bookcenter, www.uspbookcentre.com.